Could you deliver fantastic campaigns for the BHF and develop individual giving for today's audience? 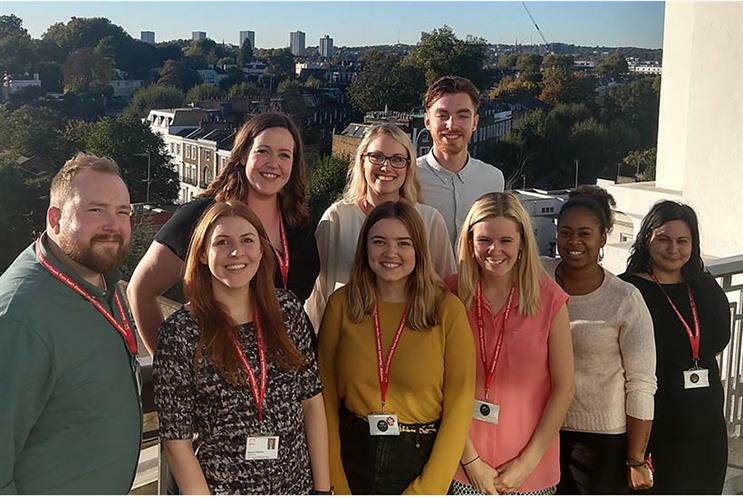 The individual giving team at the British Heart Foundation (BHF) plays a key role in managing and delivering inspirational multi-channel direct marketing campaigns, which achieve strategic targets and organisational priorities. The team is currently recruiting for senior marketing executives to deliver fantastic campaigns and develop individual giving for the modern age. We spoke to Adam Stricker-Morecroft, retention lead in the individual giving team at the British Heart Foundation, for insider insight into working for his team and the marketing opportunities on offer. Adam, what does the individual giving team at the BHF do? We deliver direct marketing campaigns and inspirational supporter experiences to help beat heartbreak and raise vital donations to fund our life saving research. A lot of people don’t know that heart and circulatory diseases kill more people than any other diseases in the UK; one in four people, and that’s something we refuse to accept. Our ambitious new strategy puts our supporters at the heart of the work we do, and our five year plan aims to transform what individual giving looks like – at the BHF and beyond. The BHF is a fun place to work. We encourage work/life balance and we’re very open to discussing flexible working options that will help you to do your job better whilst managing personal commitments. Many of us work from home on one or two days per week, Monday to Thursday, and Friday is our ‘office day’ when we like to lunch together as a team and catch up. We are currently working on a major diversification project to redevelop our business model for today’s digital age. Moving away from door-to-door and direct mail, we are working towards an increased focus on digital channels. Instead of investing in mail packs, for example, we’re creating a fully immersive digital journey for supporters with tools like interactive video content. We have a good idea of where we want to get to and are developing individual giving for today’s audience. We are recruiting for two new members of the team; a senior marketing executive focusing on support retention and a senior marketing executive focusing on acquisition. The senior marketing executive - supporter retention will look after half of the retention programme, working with our supporters and raising vital donations to fund our life saving research. The senior marketing executive for acquisition will help to deliver fantastic campaigns focused on generating new supporters. We are looking for marketing professionals who are adaptable, innovative and can think on their feet. Someone brimming with ideas who can be trusted to get on with the job. We will listen to your ideas and if you make a strong business case for your idea, we’ll make sure it happens. We’re not looking for someone who can run a project management campaign at any charity but someone who will change the BHF’s individual giving programme for the modern age. How can applicants stand out for these roles in their job application? You’ve managed to get campaigns out the door? That’s great but we also want to know: how did you get the best possible campaign out the door? What was the impact? How did you make it your own? Show us evidence of what you’ve achieved, or how you would do so at the British Heart Foundation - this would definitely help you stand out. Ultimately, we’re looking for people who know their own minds and want to change the world. This article was originally published on Third Sector.